Chapter 5 The Men return to softness. 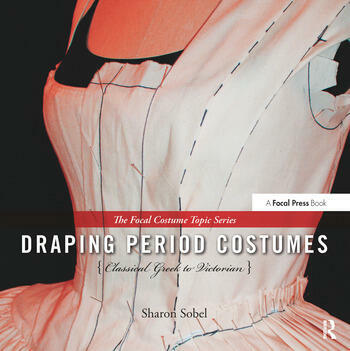 Sharon Sobel is Professor of Theatre and Costume Designer at University of Nebraska at Omaha. She has designed and/or draped costumes for over 100 productions at her home institutions as well as at The Bermuda Festival, The Juilliard School, Brooklyn Academy of Music, Long Island Stage, New York International Fringe Festival, Queens Theatre in the Park, Connecticut Repertory Theatre, North Shore Music Theatre, Asolo Center for Performing Arts, Sarasota Opera, The Alley Theatre, Madison Repertory Theatre, Opera Omaha, Nebraska Repertory Theatre and Nebraska Shakespeare Festival. She has also designed and draped costumes for Ringling Brothers and Barnum and Bailey Clown College. Professor Sobel is a member of United Scenic Artists of America and recipient of the Kennedy Center American College Theatre Festival Gold Medallion.